The daiwa opus plus spinning reel is a large extra-capacity spinning reel designed for heavier action in both freshwater and saltwater. The 4 Models of Daiwa Opus Spinning Reels are suitable for surf, pier, jetty or boat fishing. They are an excellent value for high caliber equipment. The majority of reviewers praise the very smooth action and casting ability. 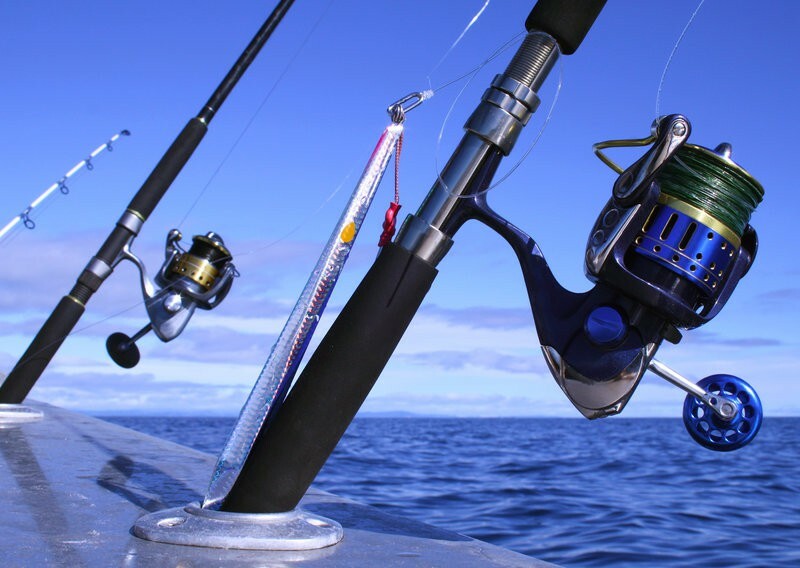 Depending on the model purchased, many types fresh and saltwater fish 30 pounds and heavier are typically caught with these reels. The daiwa opus spinning reel is available in four models ranging from the 4500 to the 6000 in a variety of gear ratios, line capacities, and weight. Line capacity on these models ranges from 12 pounds to 40 pounds and is the main difference between models. This range allows the user to purchase the reel that best fits his or her needs. While some specs may vary slightly between models, all models offer these features. This design combines the needed blend between the ultra-tough, surface treated alloy drive gear and the marine bronze pinion gear. This provides optimized speed, power, and durability. The Daiwa Opus spinning reel features four stainless-steel ball bearings and one roller bearing. This helps to ensure smooth performance. This is a great feature for the price of this reel. It will help you with smooth retrieval when a fish is putting up a great fight. This means the handle can only turn in one direction to bring in the line. When the line is pulled, the spool will often turn independently from the handle since it is controlled by the drag. The main benefit of this feature is reduced movement of the spinning handle which makes it easier and safer to control. The machine-cut, anodized-aluminum handle offers a soft touch handle making this rod easy to use and hold while being extremely durable. Twist Buster line technology reduces twist when reeling. Smooth, multi-disc main drag with front adjustment offers a 33 lb. max drag. The aluminum spool is light and durable for all fishing conditions. This rod is reversible so both right and left handed individuals can use it. There are a lot of positive reviews for the daiwa opus reel, and we tend to agree. Its flawless performance is mentioned multiple times by various reviewers. The price also can’t be beat. The drag is easy to set on this reel. With the ball bearings and anti-reverse, retrievals are smooth and easy. A few reviews said that the ball arm was a little tight in the beginning but after a few uses, it did loosen up to the right amount of tension. 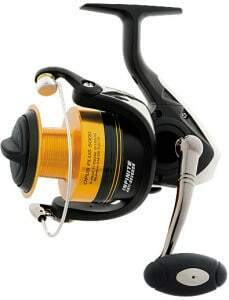 There were also a few reviewers who said that the reel was a missing screw but Daiwa replaced it at no charge. Another reviewer said that the reel was larger than originally thought, so be sure to read the dimensions on each model. While the construction is mainly plastic, the plastic is durable and has metal parts where needed. This reel is extremely durable and sturdy even in various saltwater conditions. One reviewer even mentioned that this reel was submerged in saltwater numerous times and still had no issues. The daiwa opus spinning reel is a reliable and high performance reel for someone who doesn’t want to spend a lot of money. 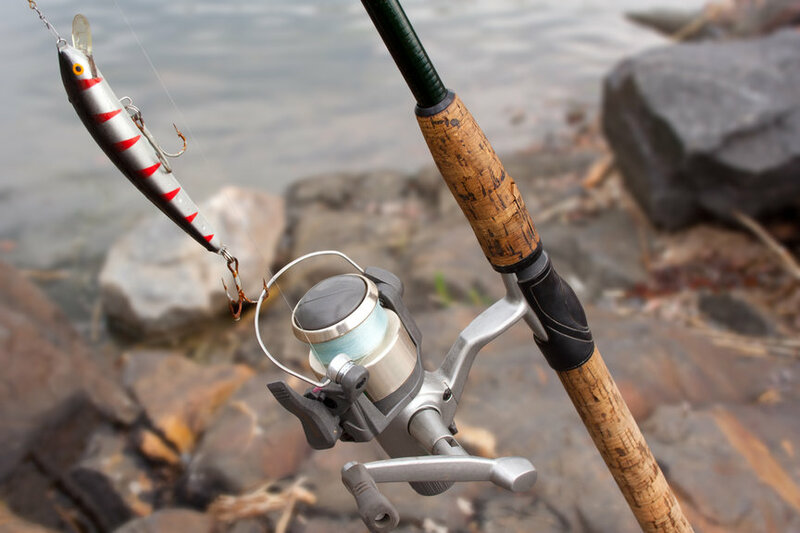 Fishing equipment for this kind of sport tends to be expensive, and this reel may help newer fishermen find their style. Whether the user is a relatively new fisherman or a seasoned pro, this reel provides and excellent value. We do recommend cleaning after use to prevent any corrosion or additional wear. The satisfaction rating is extremely high with close to a five-star average on multiple retailer sites. I found a few negative reviews out hundreds of possitive reviews. We recommend purchasing the Daiwa Opus reel for great cost-to-value ratio and performance that fits your needs. Happy Fishing! !